Beauty and The Beard is a styling company for the bride and groom. 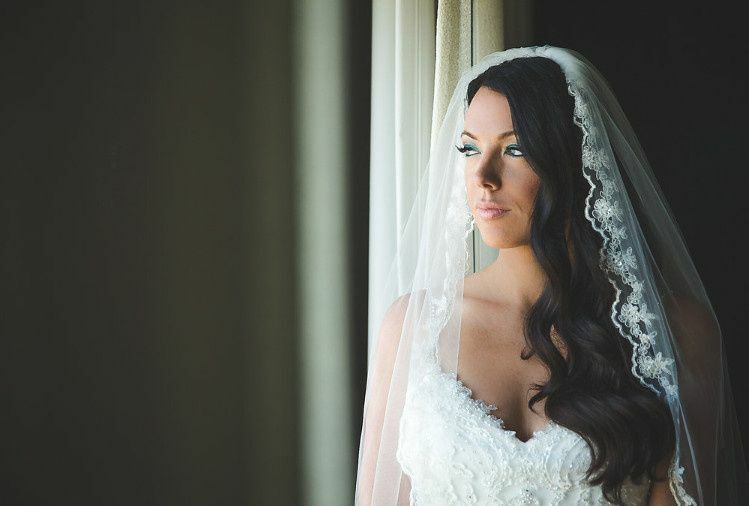 We're a team of talented stylists who share the same passion and creativity to bring your wedding vision to life. 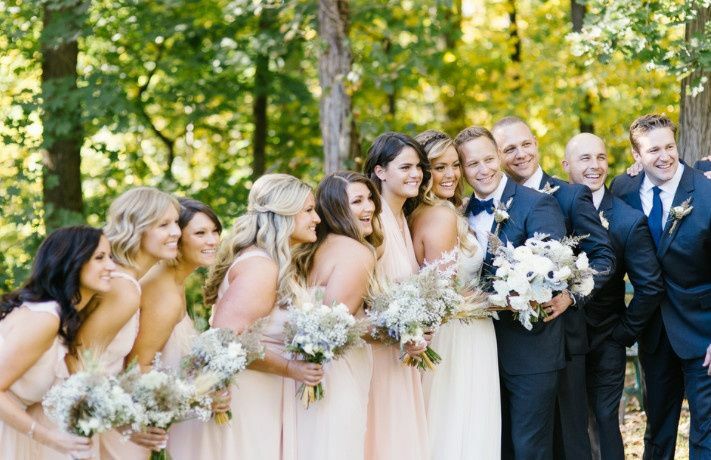 On your wedding day, enjoy the company of your bridal party and let us keep you on schedule while we take care of hair, makeup, and barbering services. Vanessa and her team were fabulous to work with! Actually found her on a whim, via a recommendation from a staff member at the hotel where we'd reserved our wedding room block. Our wedding was in Passaic, NJ on November 11, 2017. My mom and I went for a hair and makeup trial over the summer at Vanessa's Hasbrouck Heights studio, and she was waiting with champagne and treats. So sweet! I'm not an everyday makeup wearer, and she worked with me to create a low-key glamorous look that made me feel special, but still feel comfortable and look like myself. As an extra special bonus, Vanessa even came to the hotel on the evening of our rehearsal dinner to provide a complimentary hair blowout. On our big day, Vanessa and her team provided hair and makeup services for myself, my and my husband's mothers, our four bridesmaids, and our flower girl. Most of our bridesmaids aren't everyday makeup wearers either, and everyone felt heard and comfortable, and looked lovely. She and her colleagues were very patient with our 4-year-old flower girl, and even helped to keep her entertained during downtime. I would highly recommend working with Vanessa and the Beauty and the Beard team, and would definitely do business with them again! I am so happy that I chose Beauty and the Beard for my wedding. Vanessa and her assistant made me and my bridal party look amazing, and our hairstyles looked great all day. I didn't have a hair trial, but I showed Vanessa a picture of what I wanted ahead of time, and told her that I still wanted to look natural. She nailed it. That was the best my hair ever looked! My bridesmaids all wanted different hairstyles and she was able to make them look flawless. Very fast, friendly, and worth every penny. I cannot say enough amazing things about Vanessa! After seeing how beautiful a friend from town and her bridal party looked on her wedding day, I was quick to ask who did her hair and makeup. She highly recommended Vanessa and Beauty and the Beard and I couldn't be happier that she was available to do my wedding! Vanessa helped to make my bridal party look that much more beautiful on my wedding day. Every girl was thrilled with the way they looked! From up-dos, to braids, to curls and volume, she does it all!! Everyone looked so glamorous but natural at the same time. She is also such a professional. She was so easy to work with and has a bubbly, fun, and down to earth personality! She's someone you would want to be friends with! If you're looking for someone talented, affordable and fun, Vanessa and Beauty and the Beard are the way to go!